Rohrbach Brewing Company, Ep. 180 | Beer America TV - Craft Beer in Motion! Since Beer America TV has split headquarters in both Rochester, New York and Savannah, Georgia, we thought we would highlight a local Rochester brewery in this week’s episode. 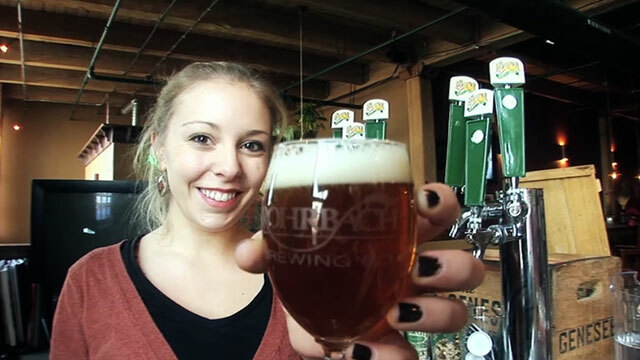 Opening their doors in 1991, the Rohrbach Brewing Company can stake claim in being Rochester’s original craft brewery! Watch and listen as owner John Urlaub explains their humble beginnings and steady growth. A craft beer tale for anyone considering starting their own brewery someday! Nice one! Would love to see more episodes like this, keep up the great work. Thanks Andy, we would LOVE to do them all this way…it really comes down to time and money. In the end, it’s not much time or money to do them this way, it’s just a matter of getting craft breweries to understand the value in spending just a little to get something like this video. Did you make a video about the new Genesee Brew House? Would be great to see a follow up to your 2008 video. A lot has changed since then. I have not, maybe I’ll reach out to see if they want one…good idea!